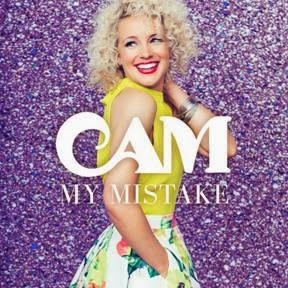 Lovin' Lyrics Music Promotions: ARISTA NASHVILLE'S CAM HAS IT RIGHT WITH "MY MISTAKE"
ARISTA NASHVILLE'S CAM HAS IT RIGHT WITH "MY MISTAKE"
Arista Nashville’s Cam Has It Right with “My Mistake”! Debut Single Launches with 44 First-Week Stations! Nashville, TN – Arista Nashville newcomer Cam has one of country radio’s hottest, most-added new songs this week with her debut single, “My Mistake,” launching amid widespread radio and media excitement for the California-born singer/songwriter and her single, which tallies 44 total first-week stations across the Billboard and Country Aircheck panels. See a special video thank-you from Cam to country radio, new online today at http://smarturl.it/Camthankyou. “My Mistake” is available for sale at http://smarturl.it/mymistake, and you can also stream her debut EP exclusively on Spotify: http://smarturl.it/spotifycamcountry. The song is the first single from Cam’s upcoming album, produced by GRAMMY®-winner Jeff Bhasker (Bruno Mars, Beyoncé, FUN., The Rolling Stones, Taylor Swift) and Tyler Johnson (Ed Sheeran, OneRepublic, Taylor Swift, Miley Cyrus, Mikky Ekko). Get to know more about Cam in this video: http://smarturl.it/IntroducingCam.